Walk around any populated place and observe. It may take only seconds to witness the downward drop of a majority of people's heads, as they remain glued to their phones. There is no shortage of information - (see articles from Reuters, New York Times, and Washington Post ) - about the hazards of cell phone use. Optimal postural alignment of the neck is designed to support the muscles and nerves of the spinal chord. Imagine carrying an extra 8-12 pounds of pressure from your head. This would be fine if we stayed within the human design of our natural alignment, but we don’t. If you look in the mirror and your neck is too far forward begin to glide your neck backward—as if your neck where on a rail or track. Once your neck is closer to alignment with your shoulder, tilt your head backward. 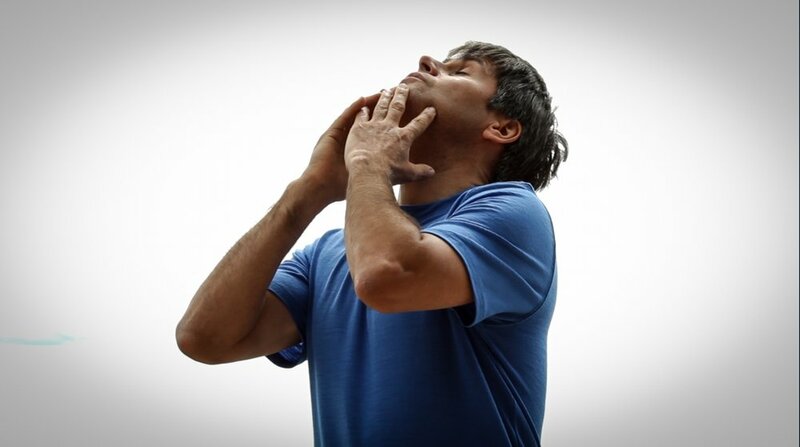 Gently assist with your hands resting on your chin. Exhale as you move upward. Inhale as you return to start position. Repeat for 8-10 repetitions several times a day.